The inside of Lola's World boutique. Quirky accessories by French designers Danielle and Chloe Le Bonnois at Lola's World. 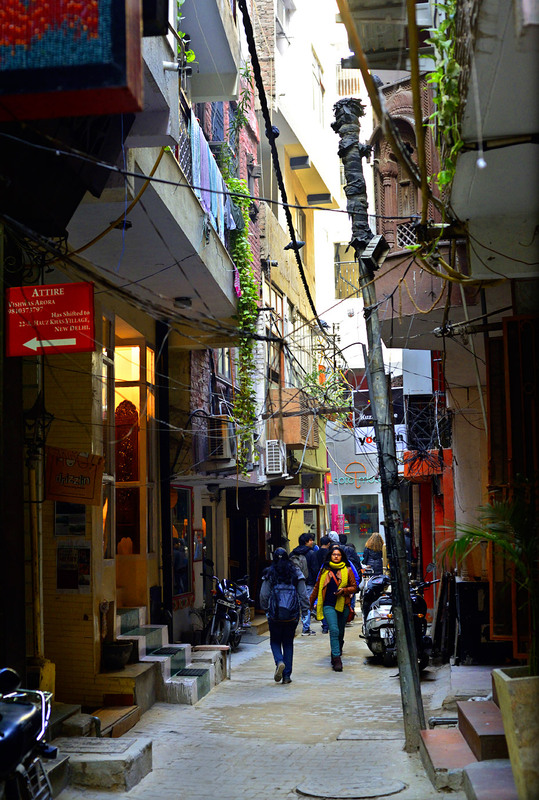 Hauz Khas is a maze of narrow lanes and alleys. A sun-drenched room at The Rose. A garden view at The Rose. Opened last January by Frenchman Sylvain Dangmann, The Rose (T-40; 91-11/6450-0001; therosenewdelhi.com; doubles from US$65) has 11 sunny, apartment-style rooms on the quieter south side of the village, a stone’s throw from the ruins. A lovely six-table dining room opens onto a large garden that Dangmann reclaimed from a garbage dump when he renovated the building. 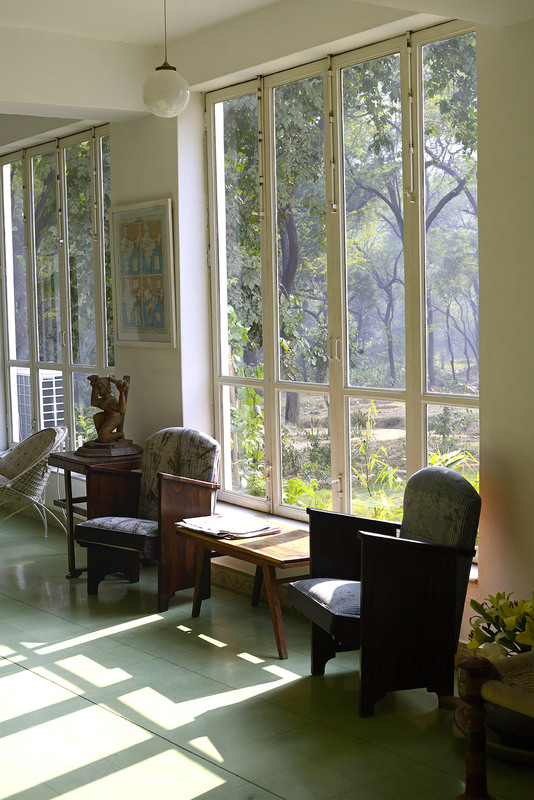 And at breakfast, you’re treated to birdsong instead of traffic noise, since Hauz Khas is surrounded by Delhi’s three largest parks. 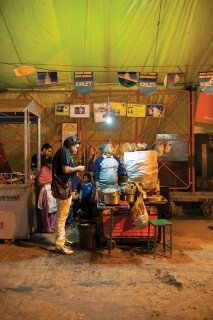 With 80-odd bars, restaurants, and cafés, there’s something in the Village for every taste and budget. For a casual meal, take the first right from the parking lot at the entrance to the complex and wind your way into the cluster of bars and boutiques to Naivedyam (No. 1; 91-11/2696-0426). 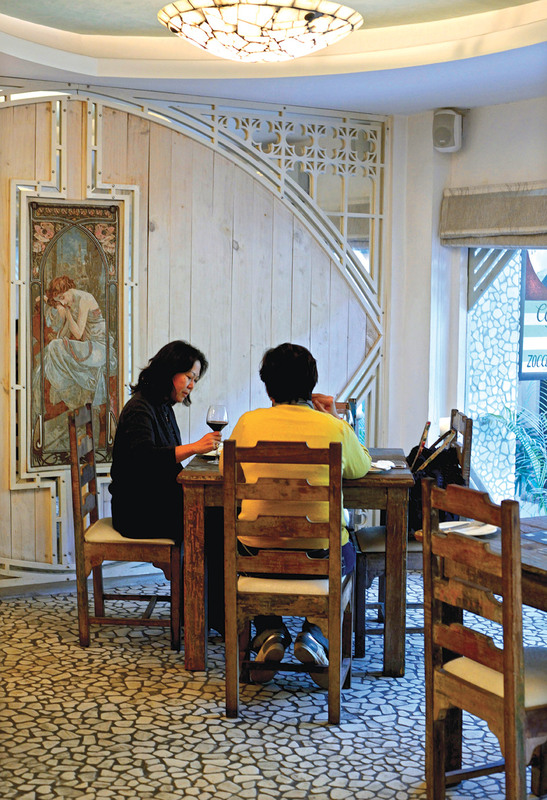 The vegetarian eatery serves an elegant “Maharaja thali” in a cool, quiet dining room. 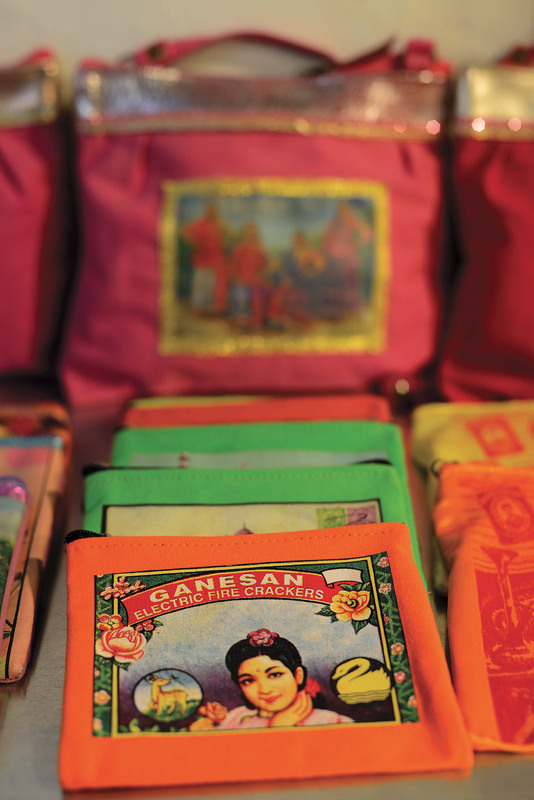 Decorated with hand-painted murals and mosaics from Hindu mythology as well as antique doors and panels rescued from the region’s disappearing traditional houses, it’s among the most fetching South Indian restaurants in town. Follow the lane around the corner toward the emerald-green reservoir to find Zo (No. 1; 91-99/1118-5007), where rough-hewn wooden tables contrast with a white mosaic floor and a Klimt-esque mural of a naked goddess. At night, top-class Italian standards are served to a soundtrack of muted electronica. Start with a drink in the small bar—it recalls a Raj-era gentleman’s smoking room—then order the pan-fried Himalayan rainbow trout drizzled with a subtle lemon-and-mustard sauce. For dessert or coffee, find your way into the Village’s “middle lane” and to Elmas (No. 24/1; 91-11/2652-1020), possibly the best bak-ery in Delhi. Cakes, muffins, rolls, and bread are made on the premises, with a fresh batch coming out seemingly every few minutes. The aroma alone is worth a visit, even if you’re too stuffed for anything but an espresso. Another must-visit is Gunpowder (No. 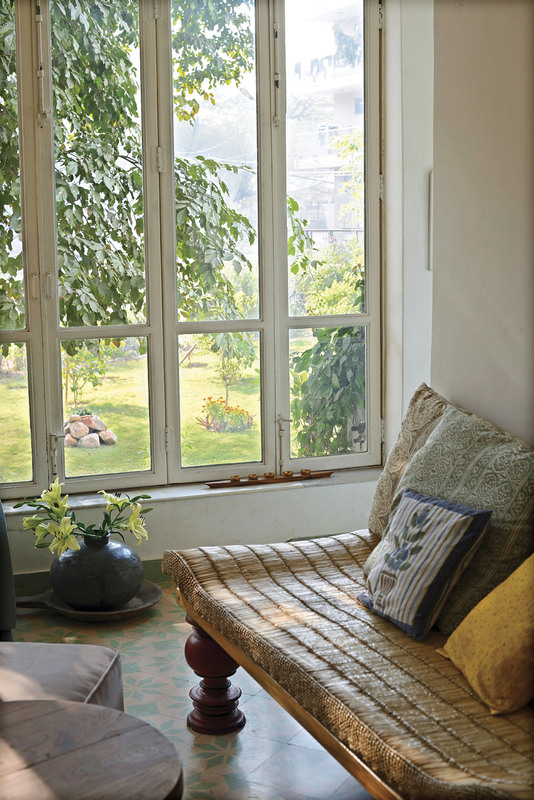 22, 3/F; 91-11/2653-5700), a neighborhood stalwart that helped establish Hauz Khas’s bohemian credentials. It’s a steep, unpromising climb to the third floor, but the eatery offers a brilliant view of the adjoining reservoir, and the “peninsular” food from Kerala, Karnata-ka, and Andhra Pradesh is mouthwatering—try the fried karimeen (a deliciously spiced fish, straight from the Keralan backwaters) and the buffalo curry. At the south end of the Village strip is Yeti Himalayan Kitchen (No. 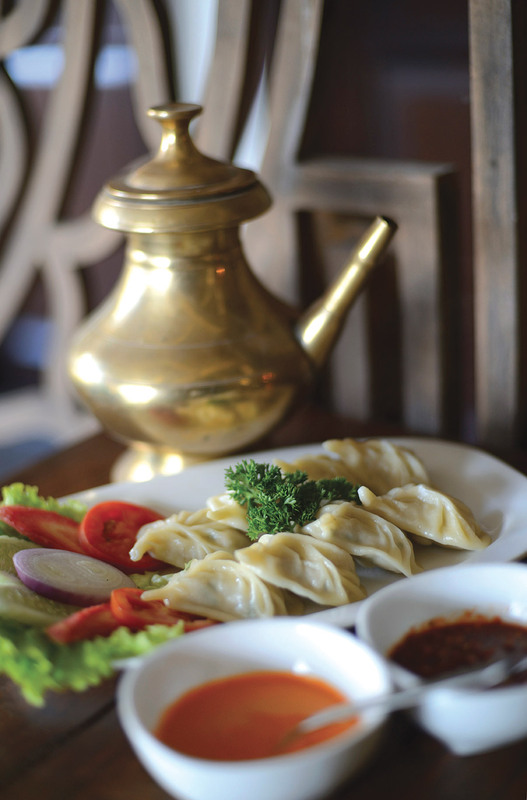 50-A, 2/F; 91-11/ 4067-8649), a casual lunch spot with a diverse menu of Nepali specialties such as dried fish and pork with fermented bamboo shoots, as well as Bhutan’s signature ema datshi (chilies and cheese), best enjoyed from a window table with a view of the ruins. Later, join the crowd of well-heeled Delhi-wallahs and expats on the rooftop at Amour (No. 30; 91-96/5412-6687; amourdining.com). When the weather is hot, the indoor tables next to a massive glass wall are in high demand, affording an ocean-like view over the forest canopy. But there’s not a bad seat in the house in this spacious, smartly designed restaurant, where the menu is Mediterranean and the wine list is among the most extensive in town. The real gem here, though, is the chic, open-air bar on the massive terrace, which overlooks the tomb-flanked reservoir. the corner, Dang (No. 24/2; 91-11/2652-1184) stocks cool but inexpensive necklaces and earrings designed by Delhi-based Anya and Tia, mostly in silver and glass and priced from around US$12. 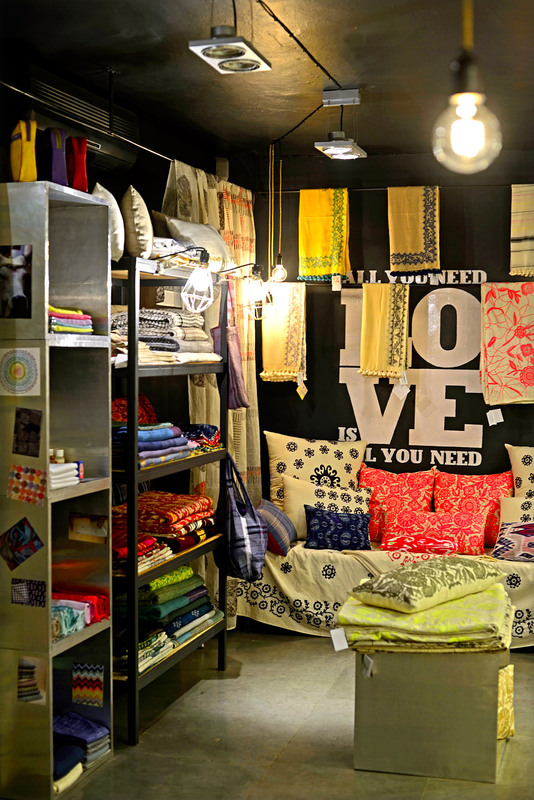 Bargains are harder to find at Shalini Sharma’s Reasons (No. 7; 91-98/9148-1860), where covetable pieces include a pair of US$1,000 earrings reminiscent of a peacock’s feather and studded with semi-precious stones. Party togs and trousseaux by local designers dominate the Village’s boutiques. Kavita Bhartia’s Ogaan (H-2; 91-11-2696-7595; ogaan.com) has one of the more interesting collections—think sparkly chiffon saris—while the kurtas at Naresh Madan’s Olé Couture (No. 1A; 91-11/4609-4141) offer looks you could pull off in Manhattan. For casual chic, try Lola’s World (No. 1; 91-11/6451-4201), which sells loose-draping clothes and accessories—including children’s items—by French designers Danielle and Chloé Le Bonnois. Neighborhood art offerings, meanwhile, range from the affordable paintings and photographs on sale at the Kuzart Lane Café (No. 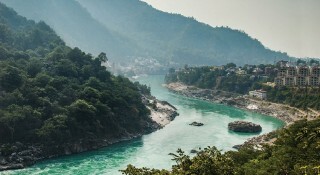 2; 91-98/1068-8447)—where 40 percent of all art sales go to benefit local orphanage Kilkari Home for Girls—to vintage maps and movie posters at Indian Popular Art (No. 5; 91-98/1196-0996) and Cinema Posters (No. 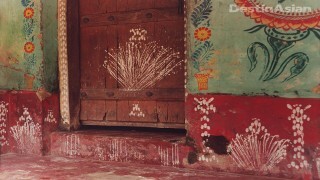 3; 91-97/1101-9776). You’ll also want to venture to the Delhi Art Gallery (No. 11; 91-11/4600-5300; delhiartgallery.com) for a look at one of the city’s largest collections of modern Indian masters, including greats like Syed Haider Raza, Maqbool Fida Husain, and Francis Newton Souza. 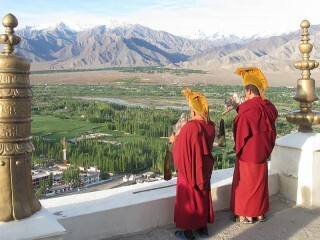 A luxury traveling camp helps one of India's oldest monasteries by bringing travelers to its valley. 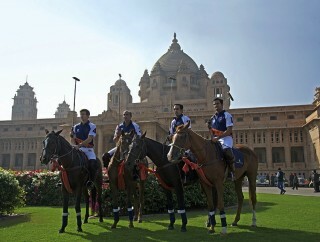 A maharaja-hosted polo tournament provides the perfect excuse to revisit Jodhpur, India's Blue City.